Hello! So I have an humidor that was passed down to me by my grandfather. It does not work but I would like to get it repaired and make it like new. I have tried googling multiple antique restorations and ways to repair humidors but I am not finding much luck. Any suggestions on where I could take it to restore it or other recommendations? I appreciate all the help! Can you post some pictures of it? Are you wanting it to look nice, to actually function, or both? I'll only answer after you start a third thread. Yea, sorry that was my bad. I thought i could delete the first one but looks like I cant haha. And it still looks nice, I am mostly wanting it to actually function. Seems fine. Look up dollar bill test, or light test. If there are major problems there then look up ways to better seal a wood humidor. 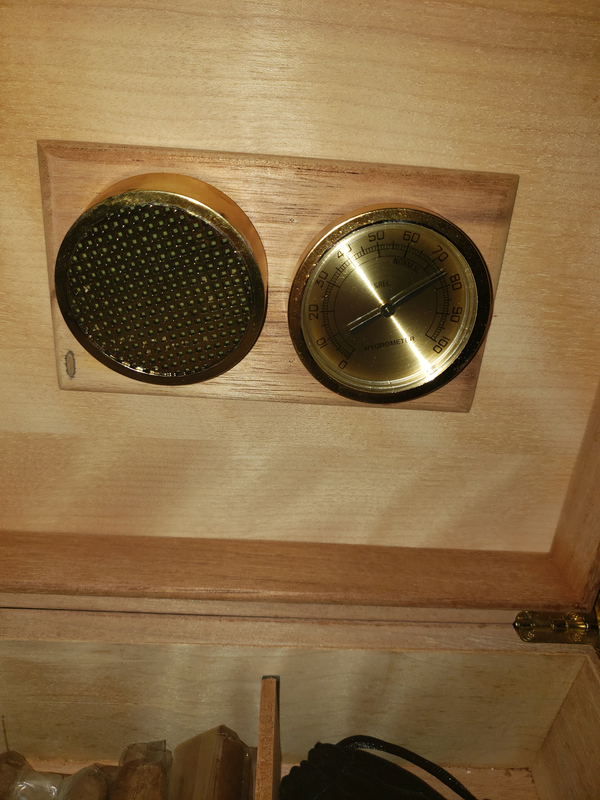 If it seals fine then look up seasoning a humidor and different humidity options. After this away you go. 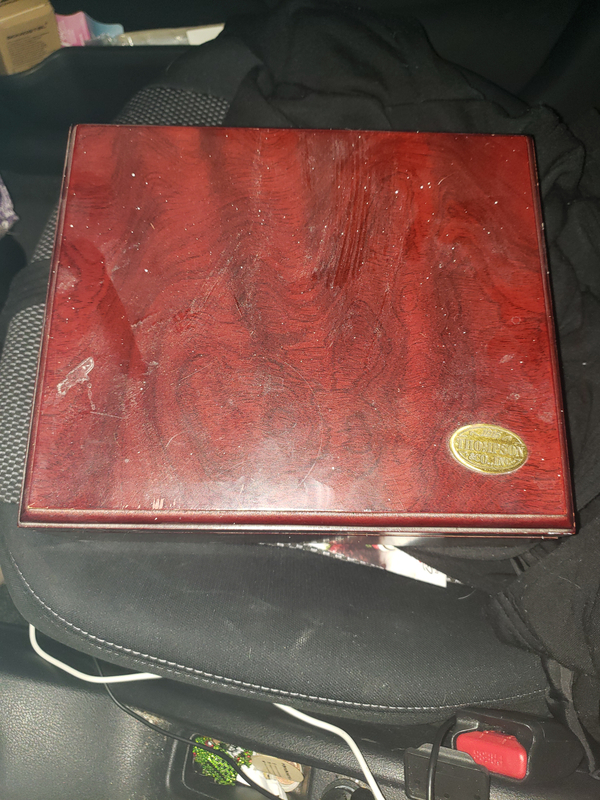 My first humidor (still have it) looks just like that. Found it at an antique/junk store. At that time I didn't know ANYTHING about cigars or humidors. Well, that's not true. 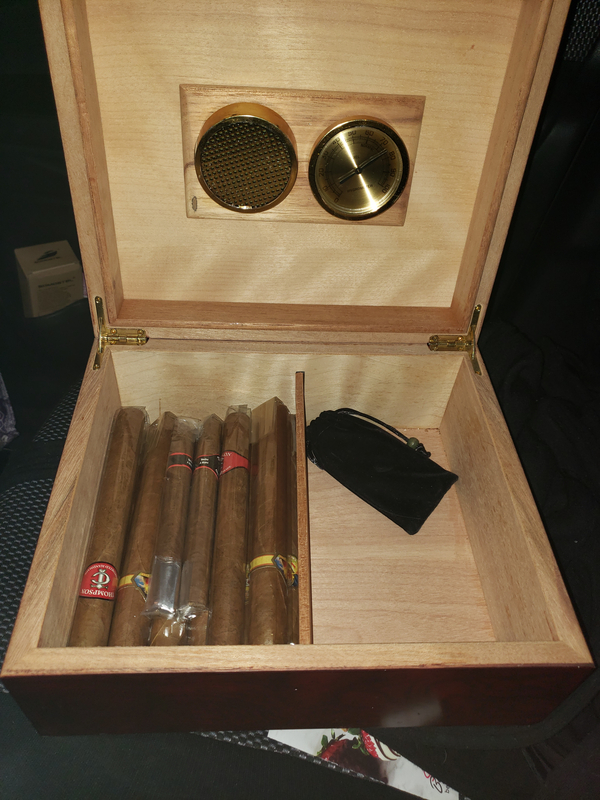 I knew that it WAS a humidor, but that's about all I knew. I didn't know enough to not pay $25 for it. I was robbed. I could have got the same humidor new, on-line, plus ten cigars and a free lighter combo deal for $25. As for the looks of it,.... Wipe it down with a damp cloth. It doesn't look too bad. It's not valuable in the least. For you though, it might have sentimental value. I would keep the original hygrometer and humidifier but only for looks. Get a digital hygrometer and use Boveda packets for humidification. If it has scratches you want repaired, look up someone in your area that does furniture repair or woodworking. As for making it function, (Maintaining humidity somewhere between 64 and 70%RH) good luck, you'll need lots of luck. These cheap, made in China humidors can be a real pain. 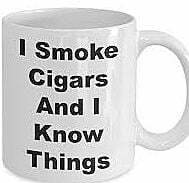 But seriously, do you smoke cigars? 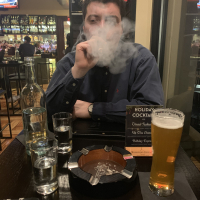 Tell us a little about your interest in cigars? This is just how my brain thinks, but you wouldn't have to use the humidor to hold cigars to achieve the desired sentaMENTAL results. Just having it sit somewhere special, resplendant in all its glory, should do the trick. And then, if you actually enjoy cigars and want to keep some on hand, there are much better ways of doing so. What a lovely jewelry box! Your Grandpa will be happy to know you think of him every time you get your watch, rings, or nice necklace out of it to wear. Lost so many "passed" down items from my grandparents and parents. Also had a few stolen by family members. The few that remain I really cherish. If I had a humidor that my grandfather owned I would do every thing I could do to restore it, and use it, But that is just me.